Nokia has added two new phones to its Lumia range in India, the Nokia Lumia 625 and Lumia 925 and priced them at ₹19,999 (INR) / $308 (USD) / €231 and ₹33,499 (INR) / $516 (USD) / €387 (EUR) respectively. The Lumia 625 is the largest screen smartphone to date from Nokia, and will be available in the market in 3-4 days. 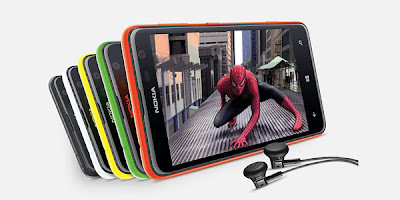 Nokia India's marketing director Viral Oza said "We have launched 12 Lumia devices in 18 months. that's amazing speed when you have a platform which is launched from scratch. Our focus consumers are the 18-25 year old youth and within that depending on the kind of offering we have, we appeal to different parts of them." You can get up to ₹16,089/- back as the Lumia 625 comes with the exclusive 'Your Movies App', that lets you download more than 3000 movies, free! You also get free access to over 90 lakh songs from Nokia Music, 3G internet for 3 months, ebooks from Flipkart and a whole lot more! The Lumia 625 phone comes with 4.7" IPS LCD WVGA screen, Windows Phone 8 OS with MS Office, 1.2 GHz dual-core Qualcomm Snapdragon S4 processor, 512MB RAM, 2000 mAh battery, 5 MP rear and a VGA front facing camera. 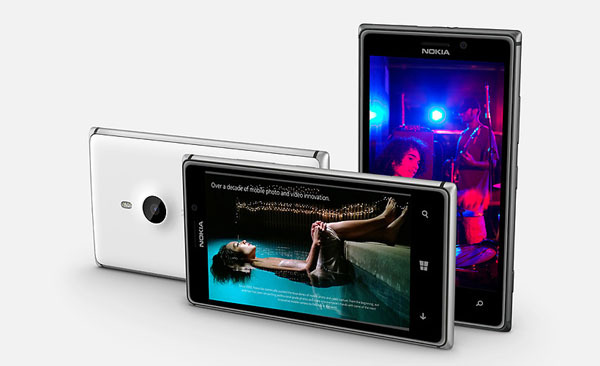 Powered by Windows Phone 8 OS from Microsoft, the Nokia Lumia 925 comes packed with great smartphone features. You can work on the go with Microsoft Office, enjoy free music on Nokia Music and discover the city around you with HERE Maps, or snap on a wireless charging cover to charge up without plugging in. The Lumia 925 features 4.5" AMOLED super-sensitive touch screen at 600 Nits, NFC (optional), Dual-core 1.5 GHz Qualcomm Snapdragon S4 processor, 1GB RAM, 2000 mAh battery, 8.7 Megapixel PureView camera with six Carl Zeiss lenses, 1.2 MP wide-angle front camera.